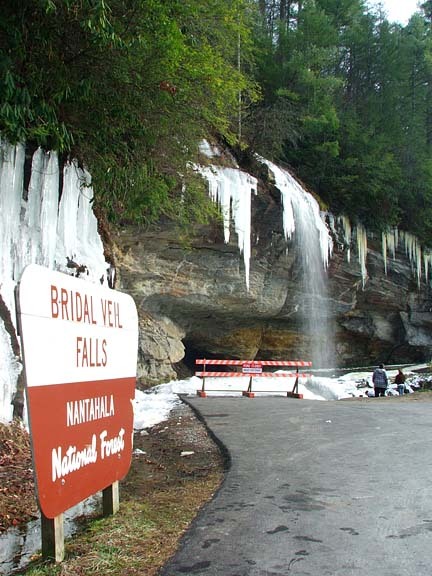 Bridal Veil Falls is one of the most unusual and most popular falls in the South by virtue of its location along scenic mountain highway US 64. 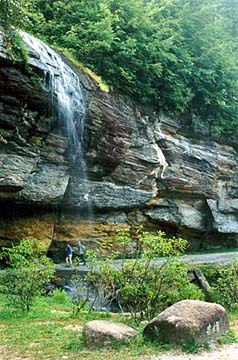 The old road, in fact, passes underneath the 60-foot high falls. 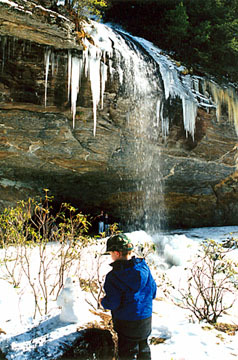 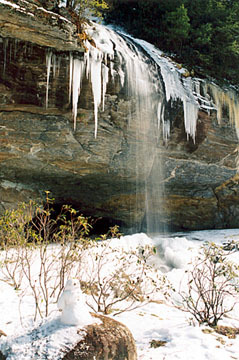 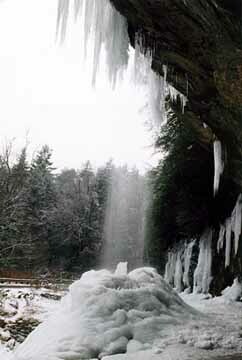 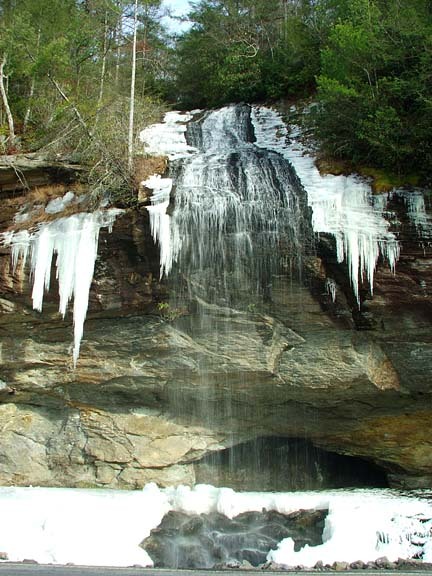 During cold spells, the falls create a large mound of ice at its base. 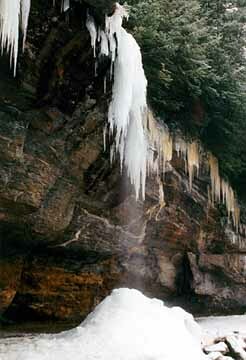 If it stays cold long enough, the falls will form one giant column of ice. 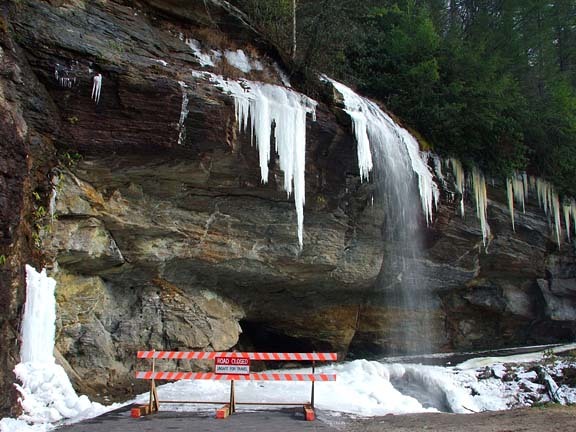 A couple of years ago, a huge slab of rock fell off the cliff next to the falls -- leaving the road underneath the falls closed. 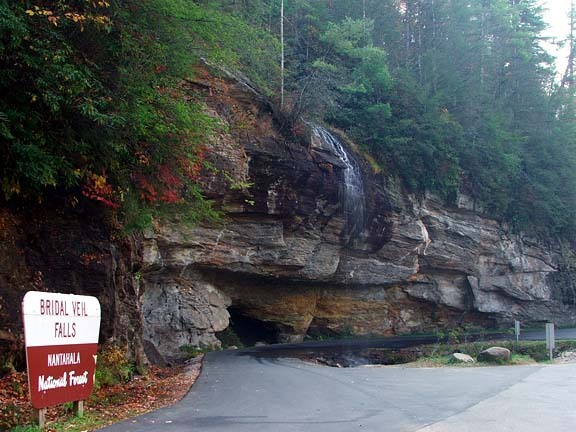 The rock has since been removed, and the road has been re-paved and re-opened. 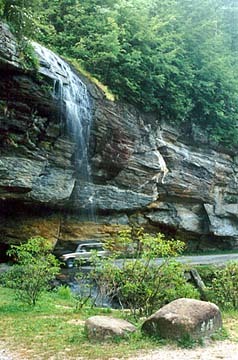 Directions: From Highlands, take US 64 toward Franklin for 2.5 miles. 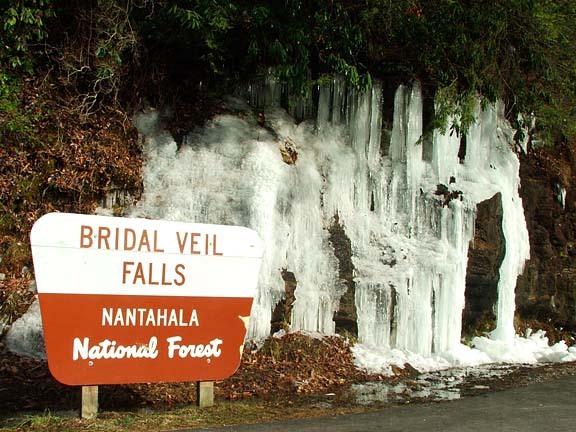 Trust me, you can't miss it.